After Mass at the Cathedral Sunday morning, I headed north to Casper to film this year’s Midnight Mass. The long-held tradition is that people from the Casper parishes gather with the bishop at St. Anthony’s on the Evening of the 4th Sunday of Advent to film the Midnight Mass. The Mass then airs at Midnight and again on Christmas morning. Since the roads were mostly ice-covered from Glendo to Casper, I decided to spend the night in Casper. Another inch or two of snow fell through the night, so not much was gained, other than being able to drive in the daylight and see what the road conditions were as I drove. Andrew Kinstetter and Deacon Brian Hess. 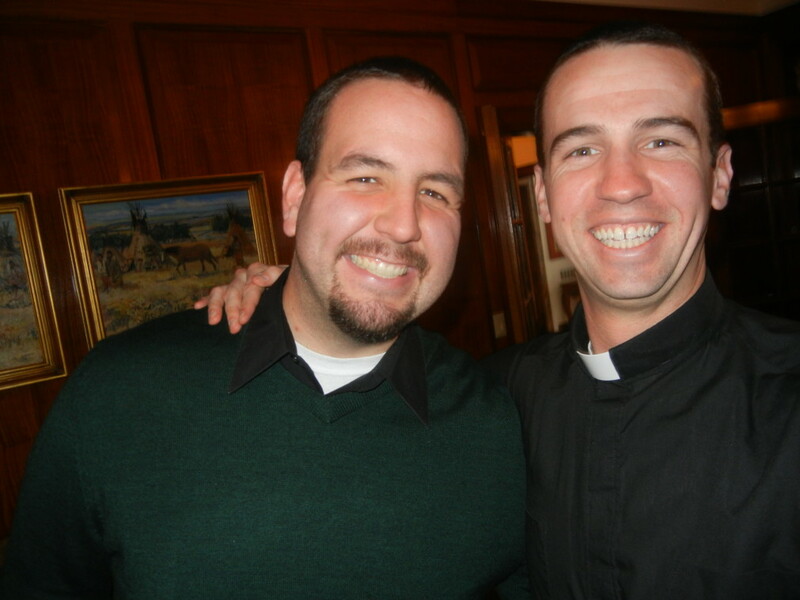 I was glad to be returning to Cheyenne today, because I was hosting our seminarians for Mass, lunch and some social time. I realized today that this would be the last time I would ask the students to gather over their Christmas break. With the vast distances many of them need to travel, complicated by the almost certain reality of some winter weather, and sacrificing holiday time with family, it is too much to ask. But we sure had a good visit today. 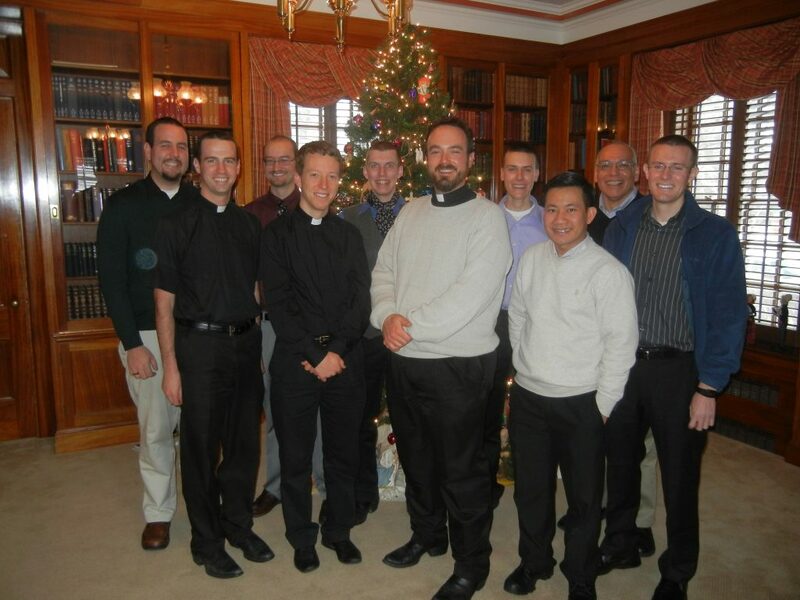 We now have eleven seminarians, with a new candidate accepted just this month, who will begin studies this Spring semester. Four are in college, two are in pre-theology (studying philosophy) and five are in theology. We will (God willing!) ordain two men to the priesthood this summer, two more men to the priesthood the following summer, and one the year following. So, our future is bright! 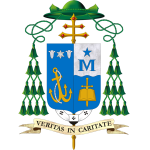 But, we still need to keep praying for each of our seminarians and for the others God is calling to serve this diocese as priests. We give thanks to God for the willingness of each of these young men who so generously give themselves to their present studies and formation! Andrew Kinstetter, Deacon Brian Hess, Joe Hurdle, Deacon Bob Rodgers, Kellen Washut, Fr. Bill Hill (Vocations Director), Casey McKee, Linh Vu, Augustine Carillo, Clark Lenz. Absent are Dylan Ostdiek and Hiep Nguyen. prev postLet The LORD Enter, The King of Glory!